Specialised tools are often needed on sites to provide software input data of sufficient quality. A shading predictor and sun-path indicator with our exclusive MCS-aid transparent acetate foil. The Solar Site Selector is a small but essential investment for solar thermal and PV installers, and can assist with the MCS shading method. The MCS method uses boxes on a sunpath diagram to estimate shading. Our MCS-aid transparent acetate foil slots into the Solar Site Selector, superimposing the sunpath diagram over your vision. You can plot your direction with the compass, then draw your landscape sketch directly on to the acetate. Click here to download your free Solar Site Selector information sheet. As standard this site selector includes our special MCS-aid foil. 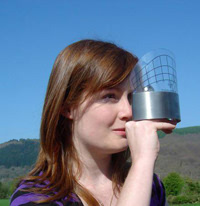 As an extra, the Solar Site Selector can also be sent with the following latitude foils: 50o, 52o, 54o, 56o, 58o and 60o. Analyse the risk of shading caused by obstacles such as trees and buildings, thereby optimising system performance. The Solar Site Selector is ideally suited for use with solar simulation software. 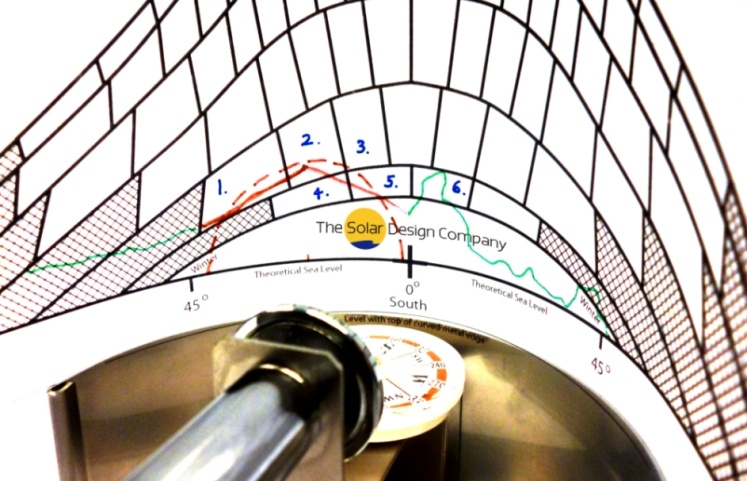 Both T*SOL and PV*SOL include the facility to enter shading data offering a more precise analysis of solar yield.